“Do I really need glass break detectors?” That’s a question some homeowners ask when exploring their home security options. It makes sense to question the necessity of glass break detection – after all, aren’t motion detectors enough? In some cases, they may be. But what if you have glass on your front door, or a sliding glass door in the rear of the house? In either of those cases, an intruder may see breaking the glass on one of those doors as his fastest way to enter. And if he does, then glass break detection will be the first technology in your system to intervene. Glass break detection technology is a fascinating mechanism. Much like motion detection is powered by sensors, glass break detectors are actually sensors as well; those sensors monitor for the sound and vibrations of breaking glass on the house, whether it’s from a door or window. When they detect that sound or vibration, they send a signal to trigger the alarm. It’s important for glass break detectors to have dual shatter recognition technology. This means the sensors will pick up on two frequencies: the initial blow to the glass (high frequency) and the sound of the subsequent shattering (low frequency). Having dual shatter recognition can reduce the risk of false alarms from glass break detectors; in previous iterations of the technology, single frequency glass break detection led to false alarms. 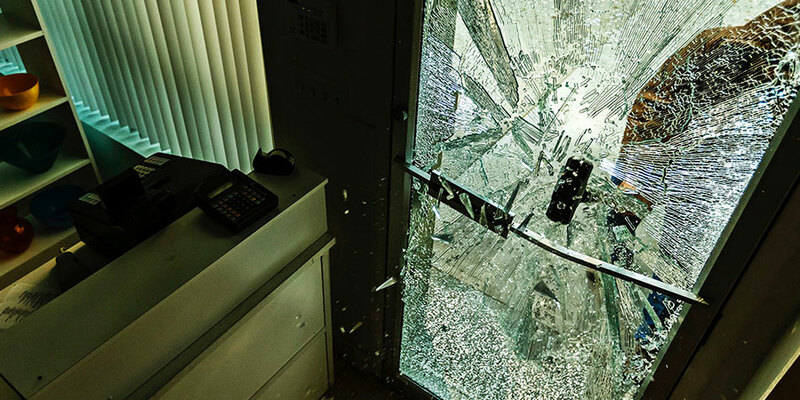 So yes, you should want glass break detection – and if your security system is older, then it’s time to upgrade to glass break detection with dual shatter recognition technology. To learn more about glass break detection and other powerful tools for home security, Staten Island homeowners can call Alarmingly Affordable. We will be glad to offer you a free home security evaluation.